How To Recover From Being An Undercover Network Marketer! Prospecting and Recruiting is the single most income generating activity that a Network Marketer can do. 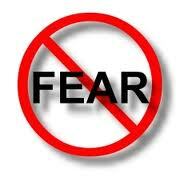 But when fear gets in the way of what you must do in order to stay in business you have a serious problem. Nowadays there are tons of undercover marketers lying dormant within the industry. Undercover Network Marketers keep their business on the “hush, hush”. They rarely expose their business to anyone even when opportunity to do so is flashing in neon lights. They don’t do the daily action steps to expose their business yet they are the first to say the industry doesn’t work. Running a multimillion dollar business only in the confines of your head will NOT get you the success you are looking for. The whole Network marketing industry is built on taking daily actions steps to get a person closer and closer to their goals. More and more people forget that this industry offers common everyday people with the opportunity to run a BUSINESS with minimal investment compared to traditional methods. All this means is that you have a goldmine in your hands. The road to recovery for a Undercover Network Marketer does not require a 12 step program but there are 3 Key Points that a person must recognize if they truly want to overcome this problem and find success in their business. 1. Acknowledge that your problem has paralyzed your business. You have allowed FEAR to live within your business and because of that your checks have started to slide in the wrong direction. Whatever you’re fearful of (rejection, judgment, no knowing what to say, etc.) you need to address head on. Fear can only disappear when you face it. 2. Seek help from your upline or a knowledgeable leader. Its always good practice to get some guidance from someone who has already mastered that problem. So many of us like the idea of doing everything on our own but taking an expert along for the ride can get you to your goals much faster. The expert can pin point what areas of improvement are needed. 3. Commit to learning your craft. If prospecting and recruiting is a scary thing for you then you need to submerge yourself in learning what it takes to make prospecting an enjoyable activity. Its an activity no one can avoid. You must make real connections with people in order to build a rock solid business. At the end of the day it all boils down to how bad you want success. Are you going to let this FEAR take away your families future? Are you going to allow this FEAR to keep you in debt? Will you let this FEAR rob you of the dream lifestyle you deserve? Only you know the answers to these questions. The only difference between you and the next successful Rep in your company is that they won’t let FEAR stand in the way of their dreams. Sometime you have to get back to the basics in life so see whats really going on. You need to remember why you want to be your own boss? Why you want to stay home with your children? Why you want to buy your spouse their dream home? All of this is done in hopes of creating a better life that breeds a long lasting dynasty in your family. Keep in mind what’s important to you. Will the road to recovery be an easy one, absolutely not! No one can run your business for you but with the assistance of a leader, coach or mentor you can start to see the results you knew you were capable of getting when you started your business. Rather Get A Root Canal Then Do Any Prospecting & Recruiting For Your Business! Check Out This FREE Training On How This Top 7-Figure Income Earner Shares His Perfect Combination Of OFFLINE & ONLINE Prospecting Strategies.